and looking at a thermometer should be mandatory before every sealer ap-application. Here’s what can happen if temperatures are too low or too high. 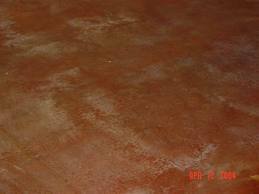 Benefits of Owning an Epoxy Garage Floor by Custom Concrete Design in Lake Ozark. 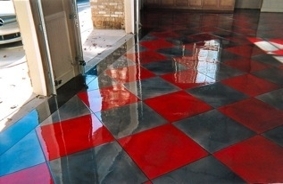 Comments Off on Benefits of Owning an Epoxy Garage Floor by Custom Concrete Design in Lake Ozark. The big picture behind every floor renovation idea is always to obtain a lost long lasting and attractive surface!! There are various options that are available when it comes to flooring; however it is important to understand that certain flooring is more effective in certain areas and suited for a specific environment. But, how do you ensure that you’re choosing the right flooring? The solution is simple, it’s always best to seek professional guidance from an expert before you remodel your flooring.